This change follows an announcement from the International Agency for Research on Cancer (IARC) who have classified welding fumes and UV radiation from welding as Group 1 carcinogens. 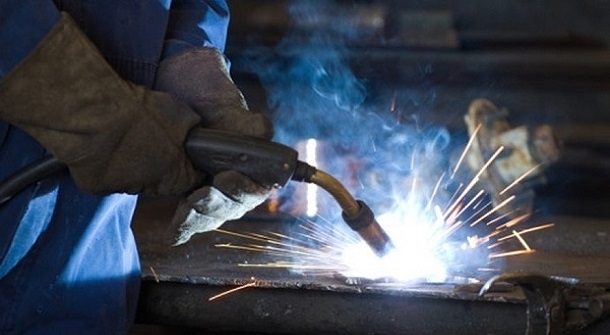 All forms of welding fume can cause cancer and in recent times the HSE have been focusing much, much more on the health side of Health & Safety. So, operations that generate harmful fumes and dusts as part of their work processes are very much under the spotlight. Indoor welding tasks require the use of Local Exhaust Ventilation (LEV). If LEV is unable to control fume capture, then Respiratory Protective Equipment (RPE) is also required. Outdoor welding requires the use of Respiratory Protective Equipment (RPE). Yes. Enforcement of the raised control standards is with immediate effect under the Control of Substances Hazardous to Heath Regulations 2002 (COSHH) Regulation 7. The HSE will issue a Safety Alert in the near future and control requirements will be communicated through the HSE website. You are advised to follow guidance in the BOHS Welding Fume Control Selector Tool available on the Breathe Freely website. If you would like some direct support from a Health & Safety professional, Sutton Winson will be pleased to help. E-mail riskmanagement@swib.co.uk or contact Martin Coppard on 0330 008 5555.